Are you intrigued by the world of web development? Are you evaluating whether a career in technology is right for you and want to test the waters? Are you considering a bootcamp? Are you attending an upcoming NSS bootcamp and would like a guided jumpstart on your pre-work? Are you interested in learning how to create your own personal website? If you answered 'yes' to any of these questions, the Web Development Jumpstart course is designed for you. 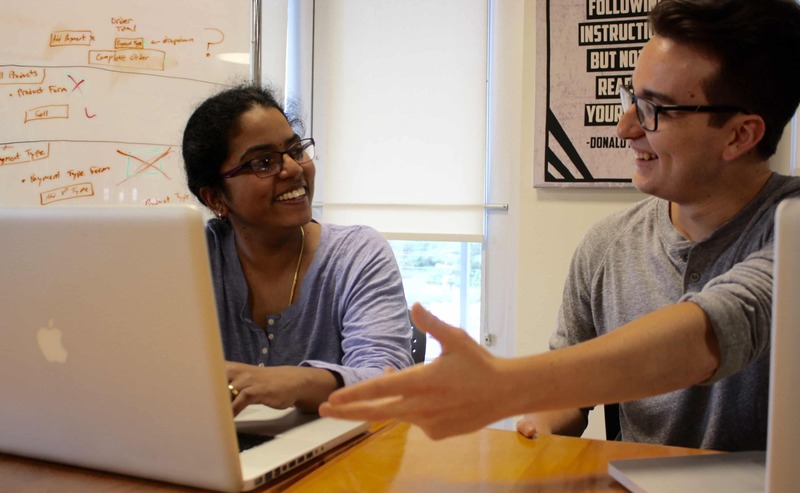 Read about student stories from Web Development Jumpstart on our blog. Learn how to build and structure webpages using semantic markup in HTML5. We'll cover the basic building blocks to create the skeleton for your website. Learn how to style your webpages using CSS3. You'll explore the basics of layout, color, typography and more to customize your website. Learn how to use tools to deploy your website so you can share it with the rest of the world (over the web)! Learn about the different company types within the web development industry & different roles for someone wanting to be hands-on with technology. Introduction to new topics will be covered by instructors who are working software professionals. They will cover topics through a combination of lecture and live-coding. What good is all this knowledge if you can’t apply it? By the end of this course, you will build your own personalized website and share it with the world. Whether you continue your journey with self-study, or take the next steps to pursue a career in web development, we'll give you personalized guidance on how to continue after the end of the course.